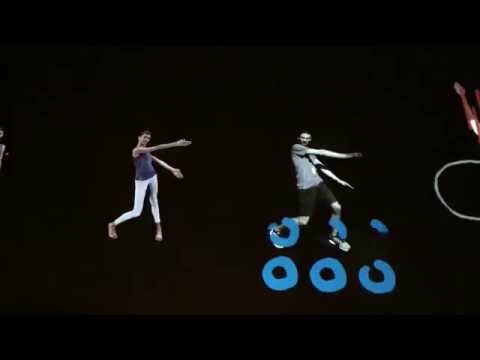 Dancelab was an interactive dance experience at the Denver Art Museum, running from July 10th to October 2nd, 2016. The exhibit was built in collaboration by the DAM, Legwork Studio, Wonderbound, Mode Set, Display Devices and Dynamite Laserbeam. News report above from Denver's CBS 4 station. A collaboration between the DAM, Wonderbound dance company, and Legwork Studio, #dancelab is a participatory dance experience, where you, the visitor, are invited to follow dance steps choreographed exclusively for this installation. Then see your movements projected in large format, into an MTV-like music video for all to see. No dance experience or skills are needed. The #dancelab experience is intended to get to the heart of dance as a universal mode of expression. #dancelab evokes the ephemeral, and social aspect of dance. It is about the thrill, pure joy, and delight that music and dance can bring.